Time Out Internet does it again with Guest Wifi for a second time with Motel Owner! “We’d been using Time Out Internet since May 2013 at the Nicholas Royal Motel our fifteen room site in Hay, NSW, advises owner, Andrew Cronin. Time Out Internet had proven great value for money, has very good features and we are able to advertise and offer free internet and also sell some wifi to make money as well. It was really easy to install at Nicholas Royal Motel and Time Out Internet were available to speak to during the installation if we needed help. We receive updates and improvements all the time and our guests find it very simple to use. 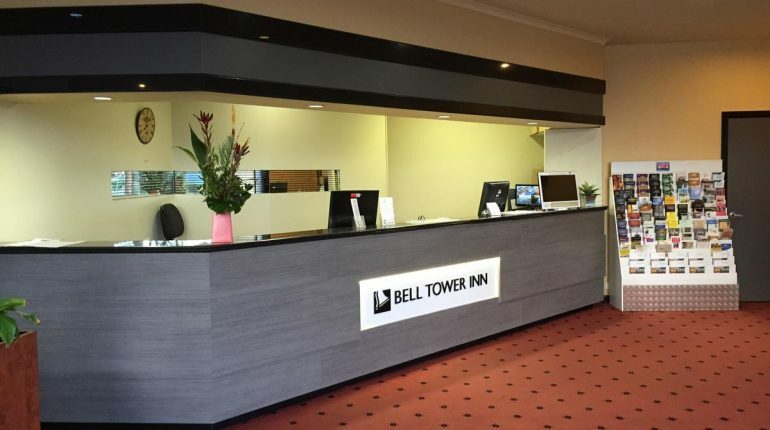 Our guests can call Time Out Internet directly 7 days a week if they have a problems connecting which is fantastic service and leaves us to focus on the motel and what we do best. Peter and Judy have great knowledge of their product and took the time to explain and researched our property for the best results and it provides us with peace of mind especially if something untoward was to happen on our internet connection which we are responsible for, we know we are protected. Time Out Internet is a company that provides Guest Wifi and Internet Management Solutions to those businesses who wish to provide an efficient guest wifi service to their customers. This 100% Australian-owned business is based in Queensland on the Sunshine Coast and was launched in 2011 by Peter Trollope and Judy Senn, with over 30 years combined IT experience between them. They recognised a gap in the commercial market for easy to use and cost effective Wifi Hotspot, Guest Wifi and Internet Management System solutions. “There was no other affordable and easy to use system I could find that seems to be able to control Internet usage to this extent. Nothing that covered all devices that can be connected to the Internet,” explained Peter Trollope, the developer of Time Out Internet. The Time Out Internet Access Control Server is supported and maintained by Time Out Internet and all updates to the server, enhancements to the system, added features and functions are included in the annual pricing. “We recommend Time Out Internet to any motel looking for an easy to install and use, cost effective and hassle free solution.” Andrew concludes.